Wren: You are my only friend here. And then I went to check on Sam. 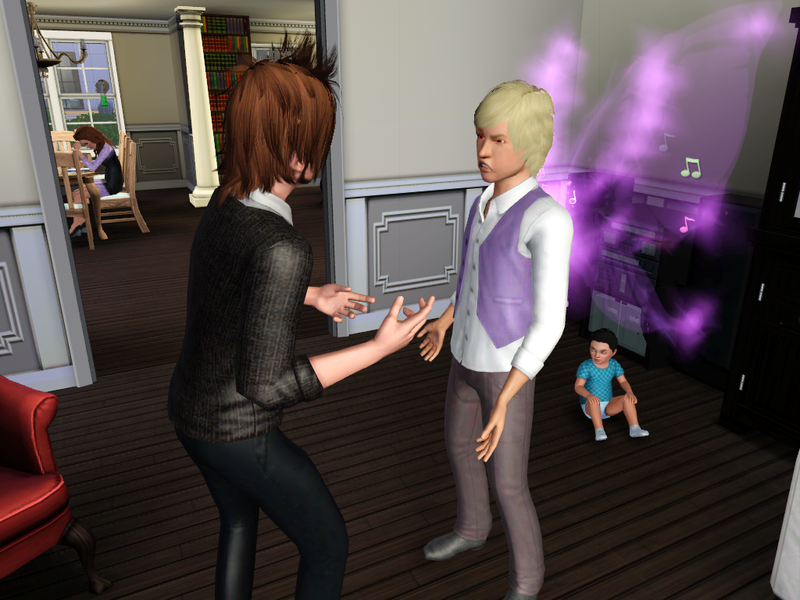 Wren: Samarium, please don’t play in the bathroom. 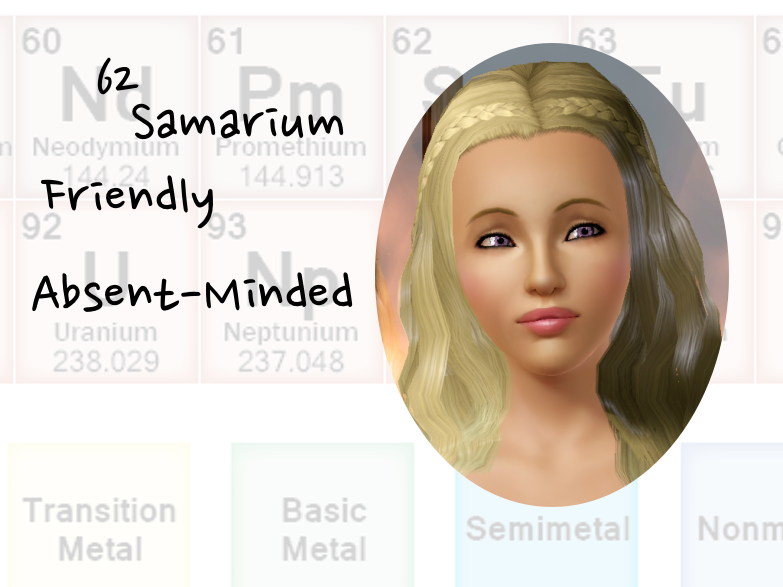 Samarium: You’re not my Mom! I’m going to tell Daddy you were mean to me! … you’re not going to go to bed? Promethium: Don’t need sleep. Have coffee. 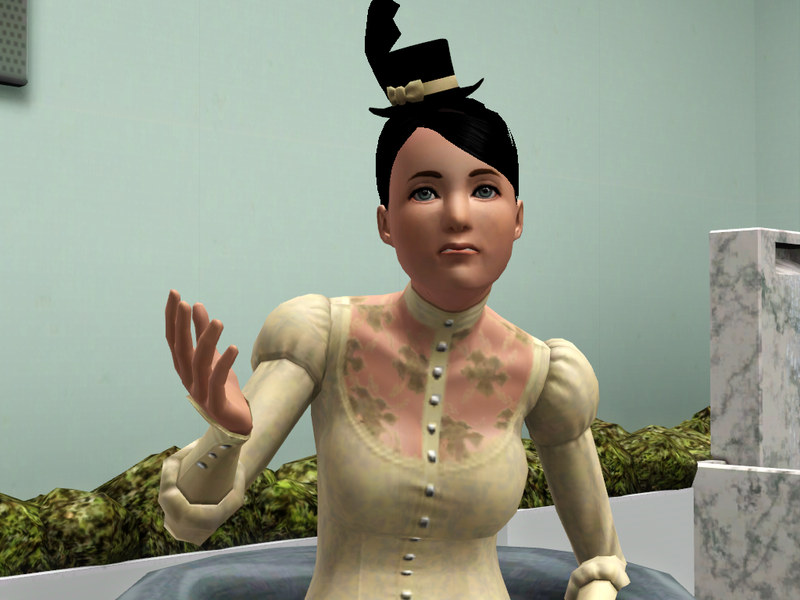 This is cu–OHGOD WREN DIDNT WASH HER HANDS AFTER GOING POTTY. Wren: Here comes the tickle monster! Europium: KEEP THEM AWAY FROM MEEEEE. Let’s check in on something a little less gross. 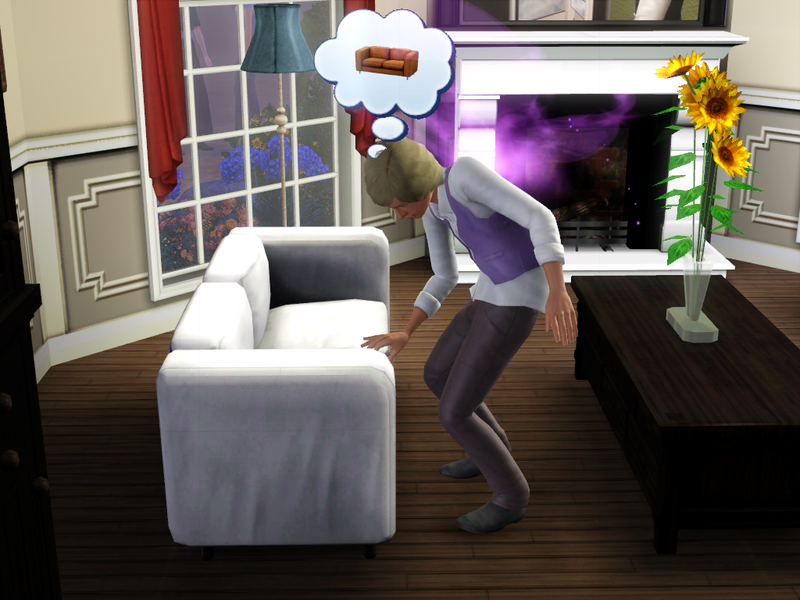 HOW ARE YOU STANDING LIKE THAT WITHOUT FALLING? 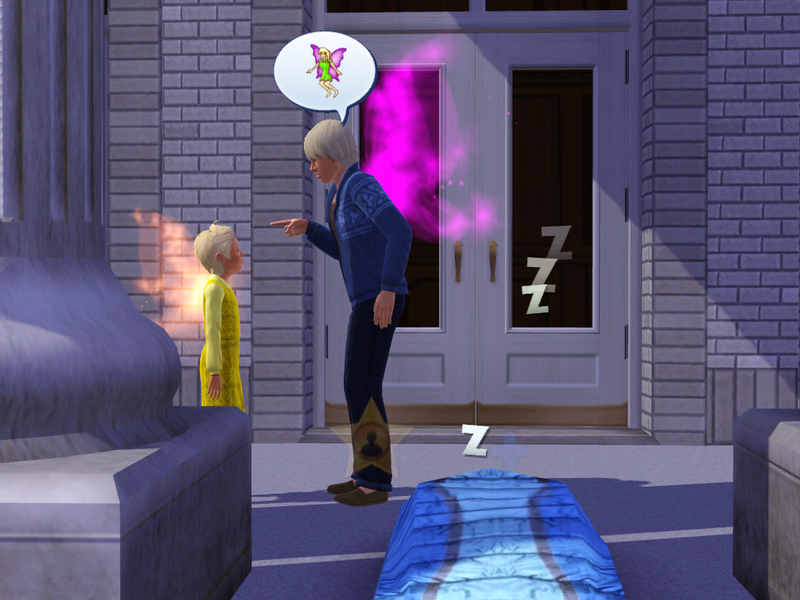 I TOLD YOU TO GO TO BED PROMETHIUM! Neo: I’m so glad I’ll be out of here soon. Neo: Tomorrow’s my birthday. I can leave. 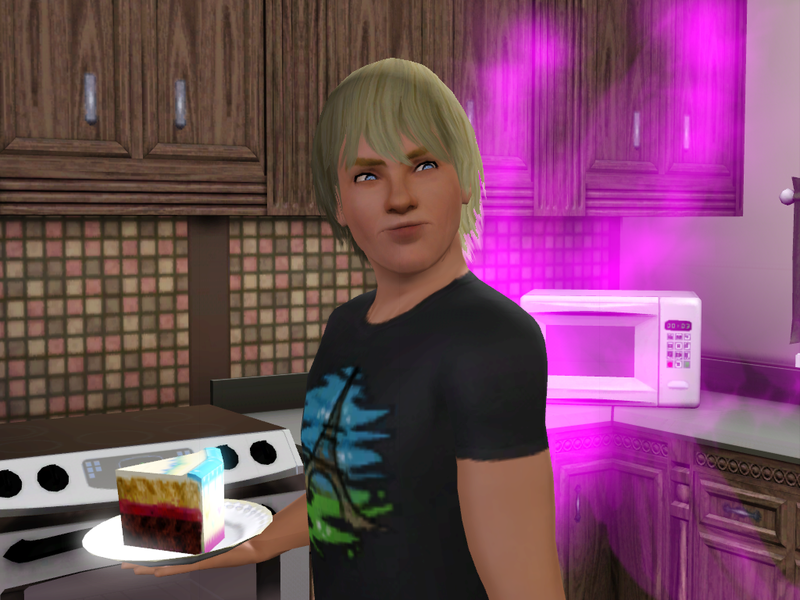 Samarium: I don’t even care if Aunt Wren is gonna be mad at me again. This is the best place to play with dollies. I’m sorry, guys, I should’ve warned you this chapter was kind of gross. 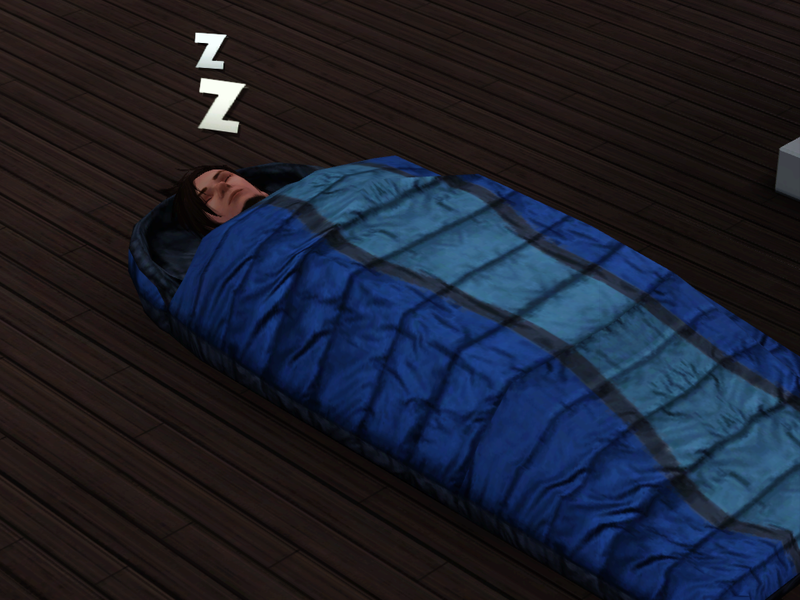 At least he’s in a sleeping bag. I forgot to age up Arnold with Cerium, so I’m doing it now. Arnold: I’ve still got it. The paparazzi continue to be amazing at their jobs. 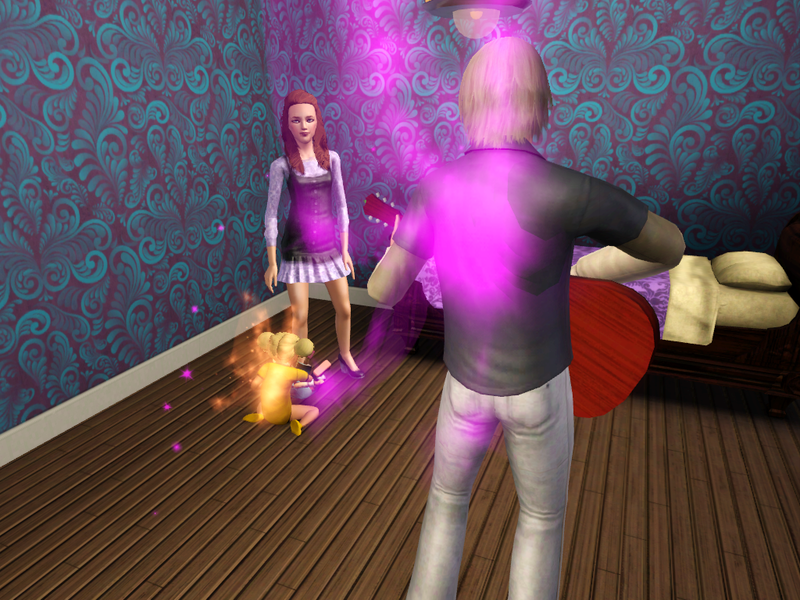 Paparazzi Woman: Barium’s playing catch with his wife? This is definitely newsworthy. You don’t have to do your homework, Neo. 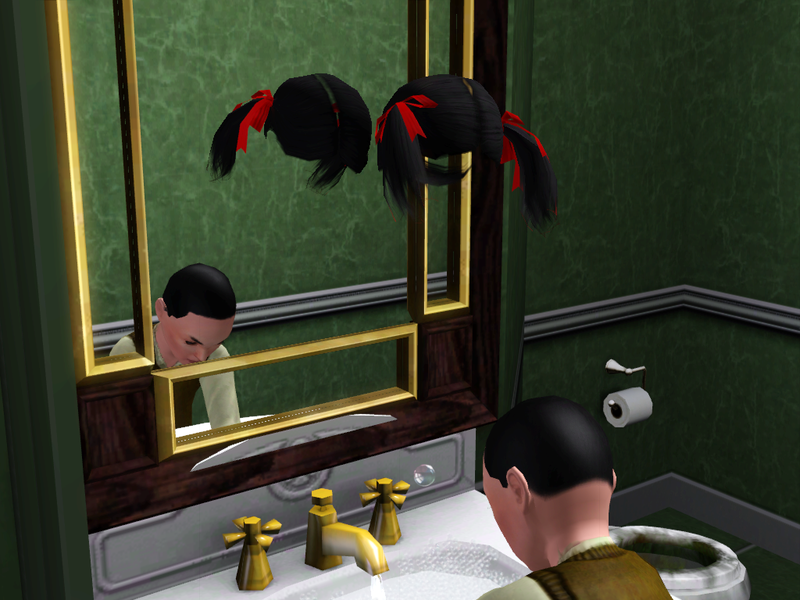 You’re aging up. Neo: I’m just showing off how responsible I am in comparison to the others. 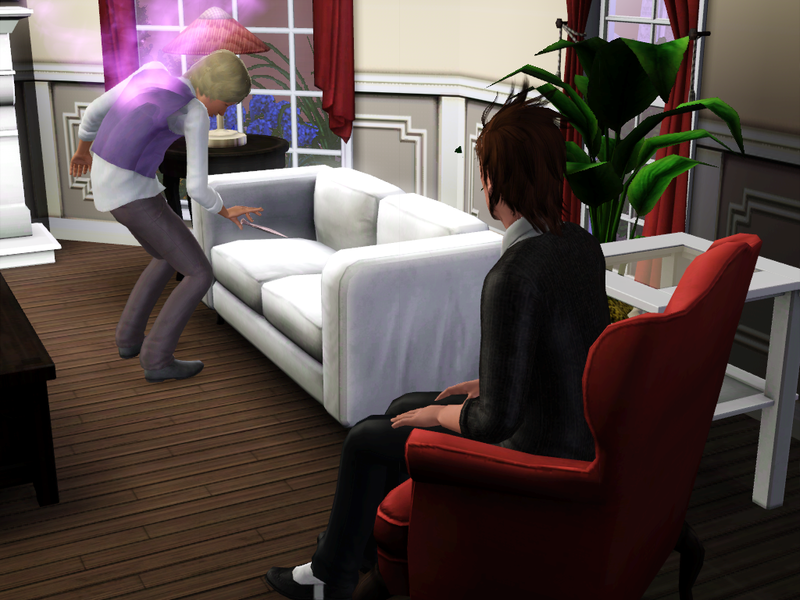 Neo: You passed out on the floor this chapter; you’re not allowed to say you’re responsible! Europium: Why don’t I have one of those? Happy birthday, Neo! 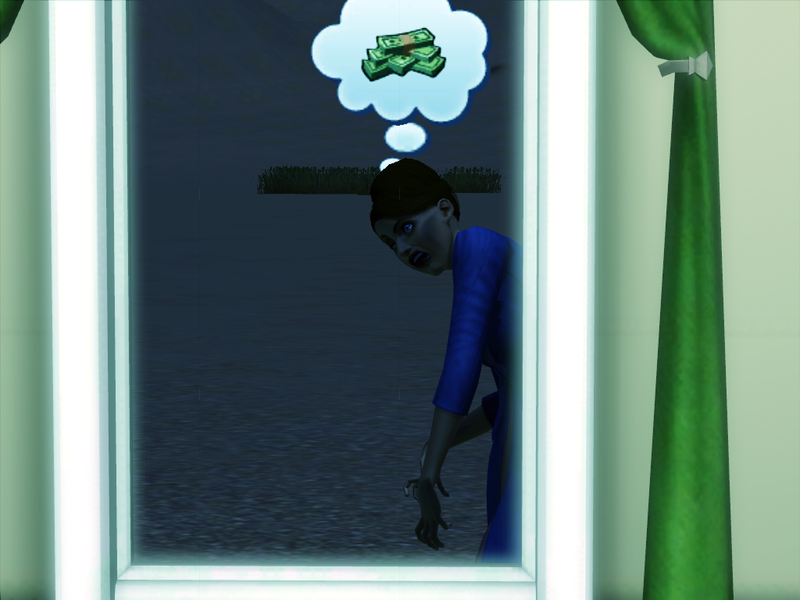 Your birthday present is horrible full moon lighting! She’ll be sticking around for a bit since we’re not in any hurry to clear out spaces in the house. 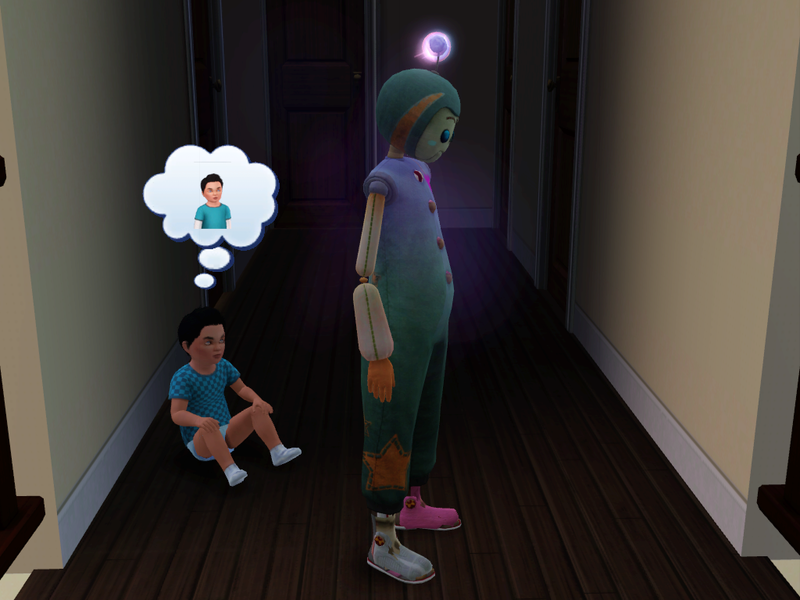 Europium was crying in the girls’ room before Wren put him to bed. He was already in the crib when Samarium woke up but she still went allllll the way to the nursery to complain about the baby who was no longer screaming. Samarium: THIS MAKES ME VERY ANGRY!! Wren didn’t get a lot of sleep. Wren: QUIET. 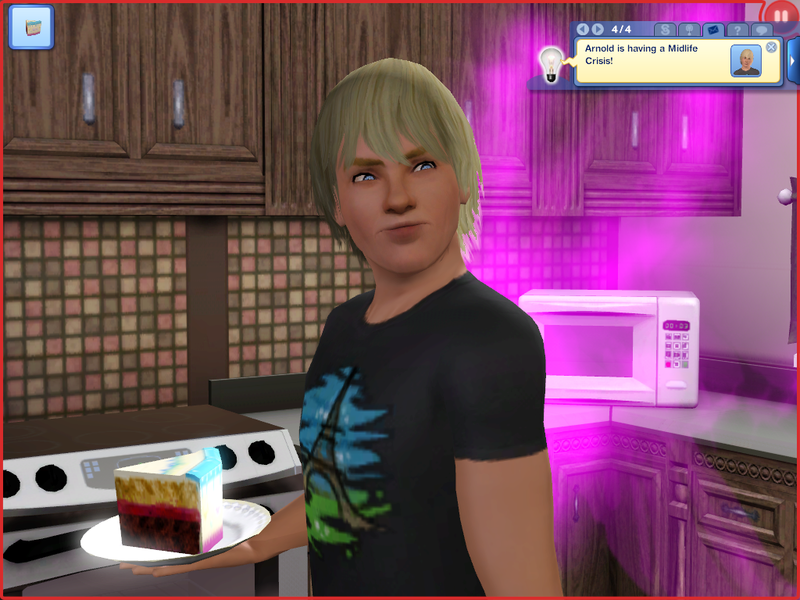 I have a headache and you’re gonna get cake as soon as you shut your mouth! 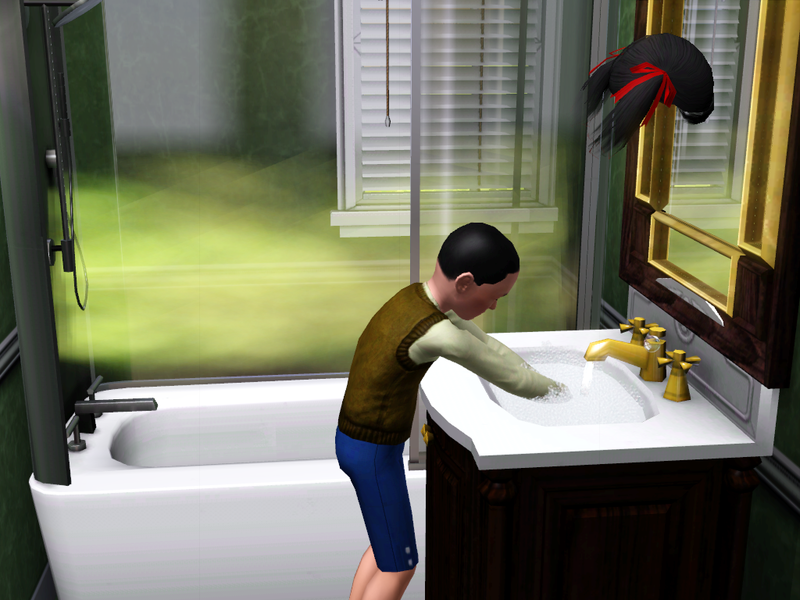 … did you at least wash your hands this time, Wren? Everyone was at the party! Even the crumpled old juice box. Juice Box: If I sit here any longer I actually will be part of the family! 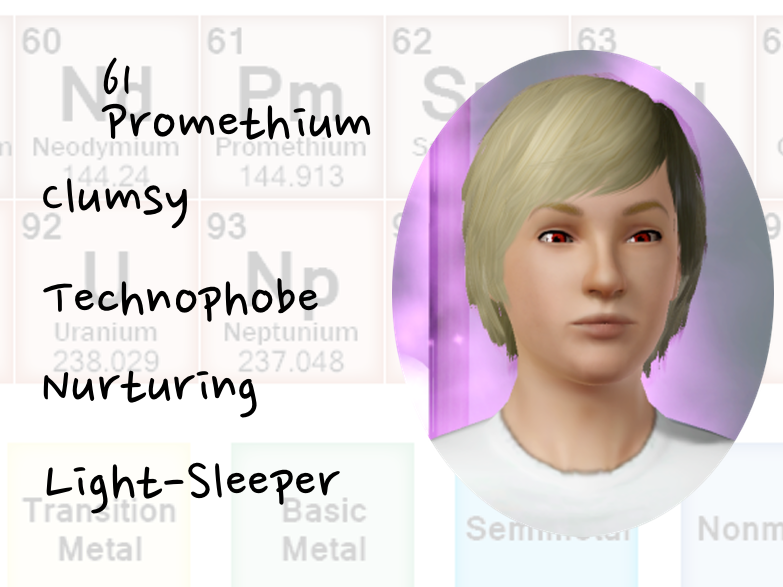 Europium gained the coward trait. … no one tell him what’s floating above his head. 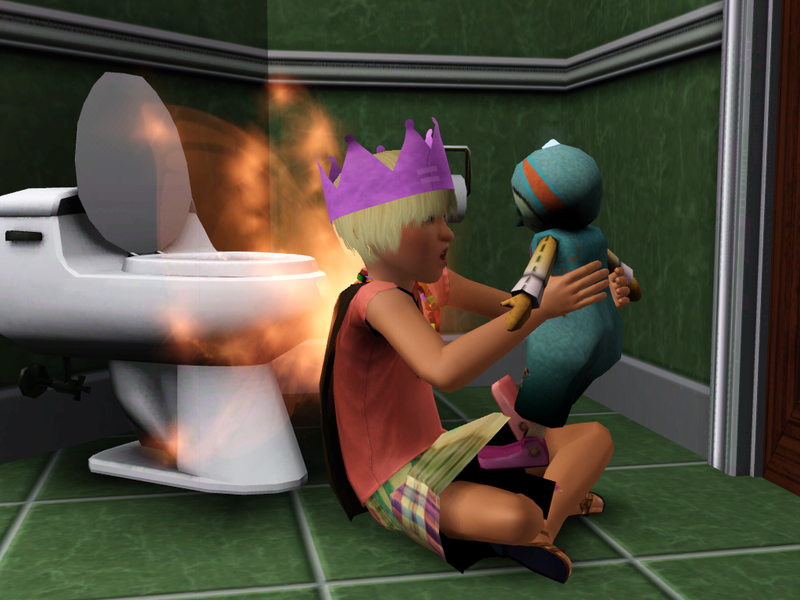 Toilet: I’m, like, super dirty. 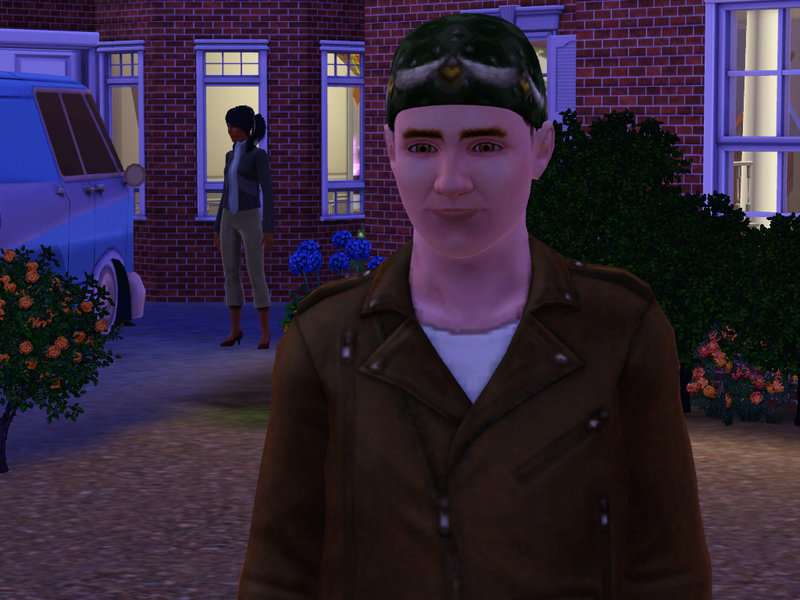 Since Europium’s a coward, I gave him the bike helmet, ’cause there’s only so many hairstyles for boys and they mostly all look the same. : / Helmet, goggles, and apron. Europium: Now I’m protected against anything! Even dragons! 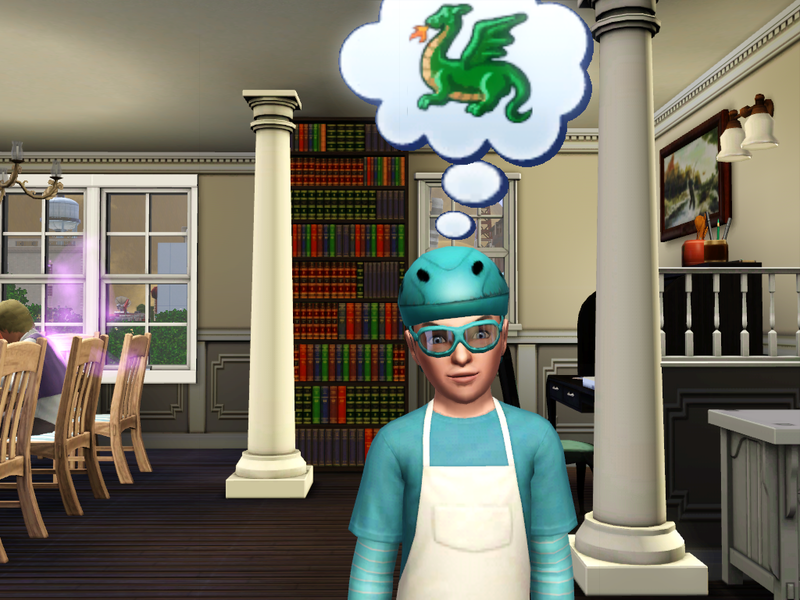 I don’t think any of that stuff will protect you against a dragon, kid. But at least the blood wouldn’t get in your eyes as you were devoured. 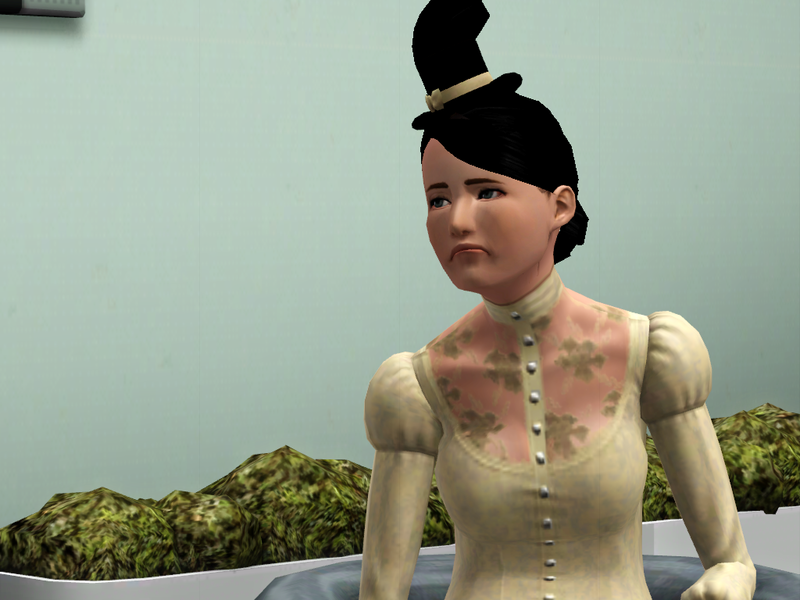 … why does the library require a wedding dress, Cerium? Cerium: Er… we’re going to the library? 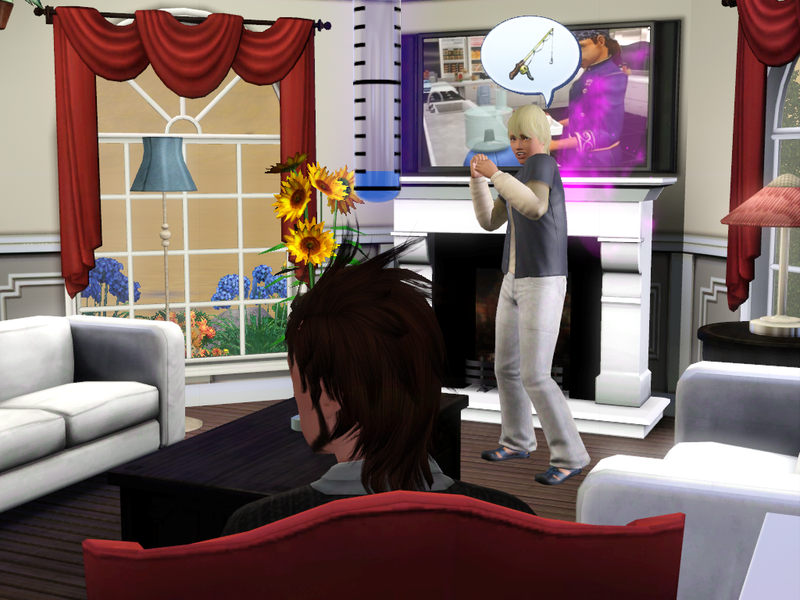 Neo: I’m hijacking this family outing! 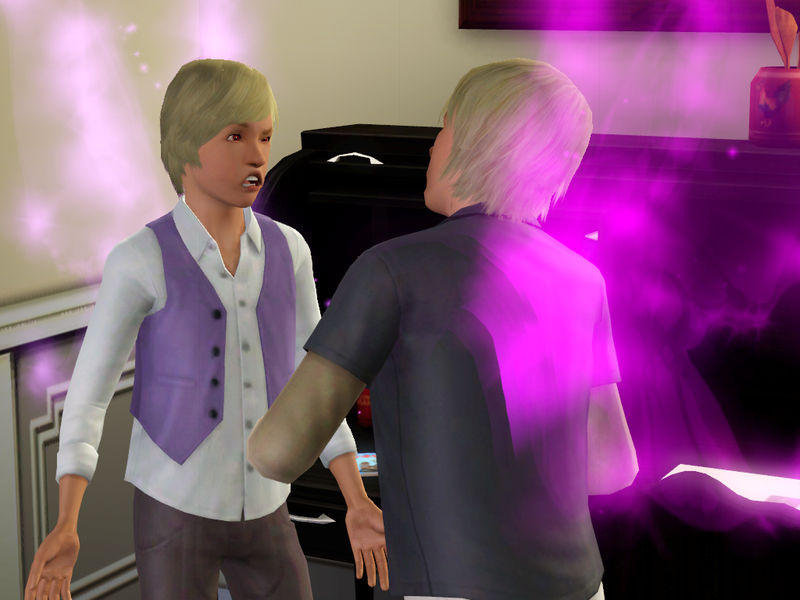 That’ll teach you to make someone other than me heir, when I’ve clearly shown I’m the most qualified. To town hall! 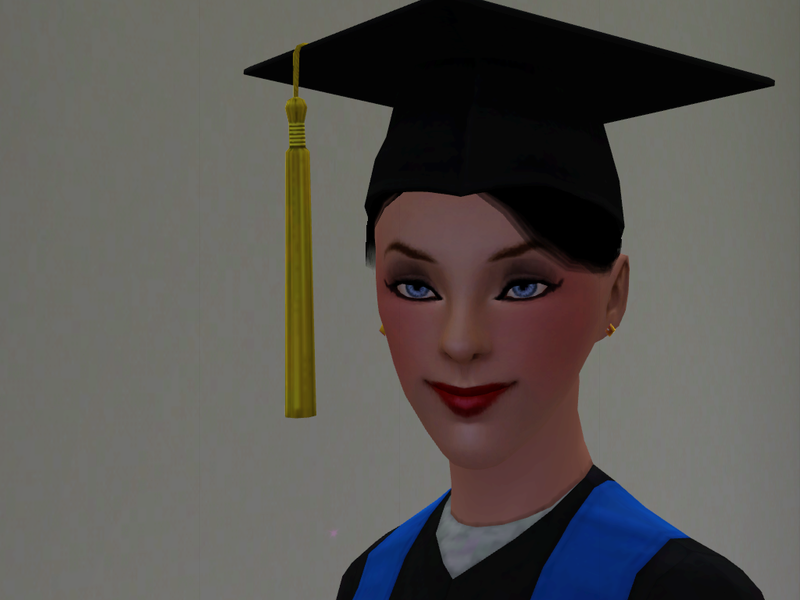 Graduation took all day so I postponed the library trip to tomorrow/next time I play. Arnold: Now, Sammy, today is the day where you learn about the secrets of being a fairy. Paparazzi Off Screen: :O Barium Mendeleev is sleeping on the ground in front of town hall? I bet we can start a rumor that he lost his house by sundown! 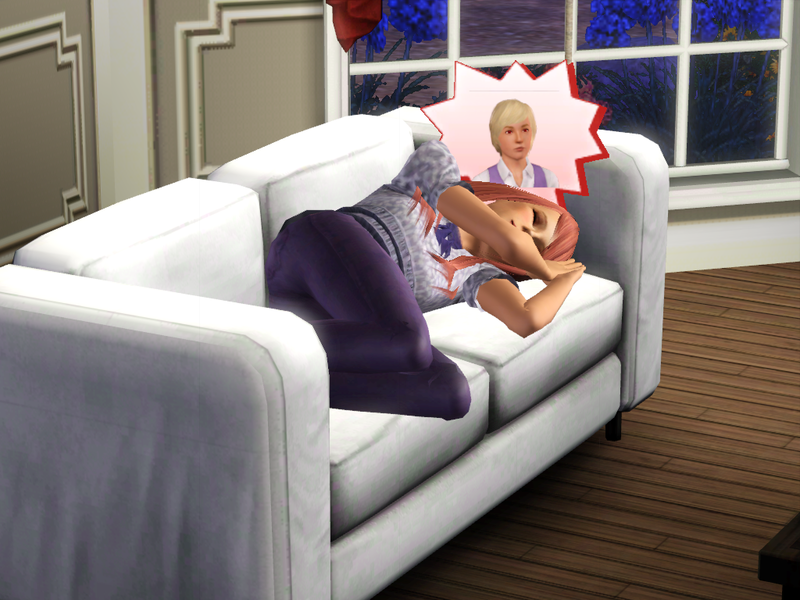 Europium found his bed without me telling him which one it was, so I think he’s proven his competence as a sim that attends to his own needs. Hopefully. In honor of both our recent four-year anniversary, and Mother’s Day, we have a special guest commentator who will be working with me for this post. The ‘mother’ of this entire family, Ellie! Say hello, Ellie. Ellie: … there’s no one here. They will be after this is posted. 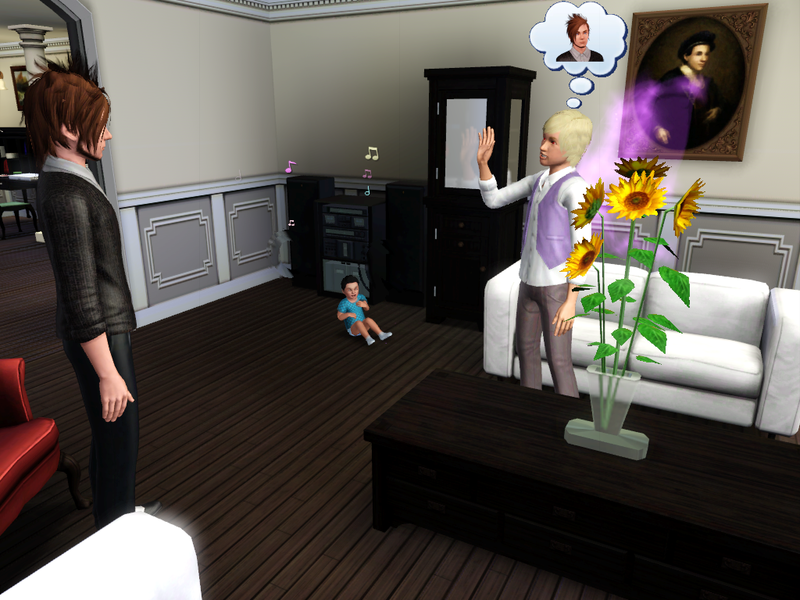 Everyone in the household seems to be lining up for our newest heir, Europium. I’m glad he won; he’s got an interesting face. 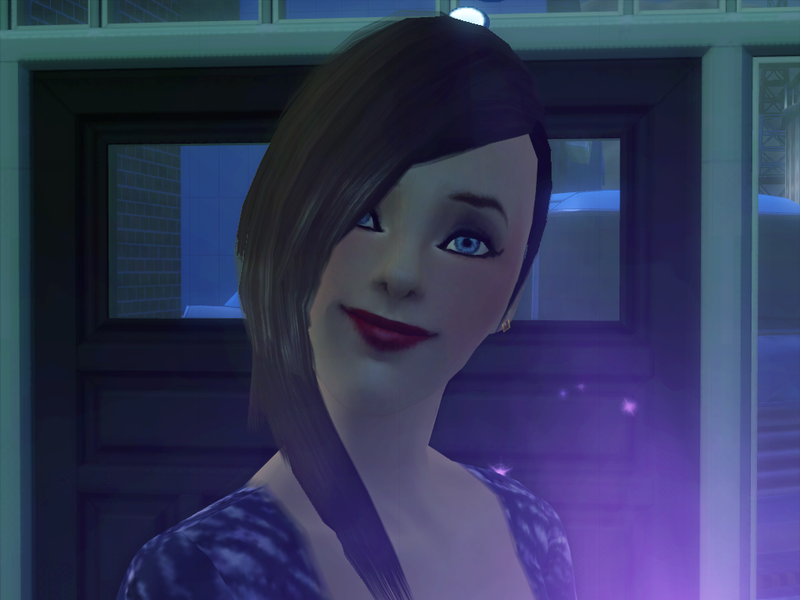 Are you saying a descendant of mine is ugly? That’s what it means when you say ‘interesting’. That’s not what I… moving on. 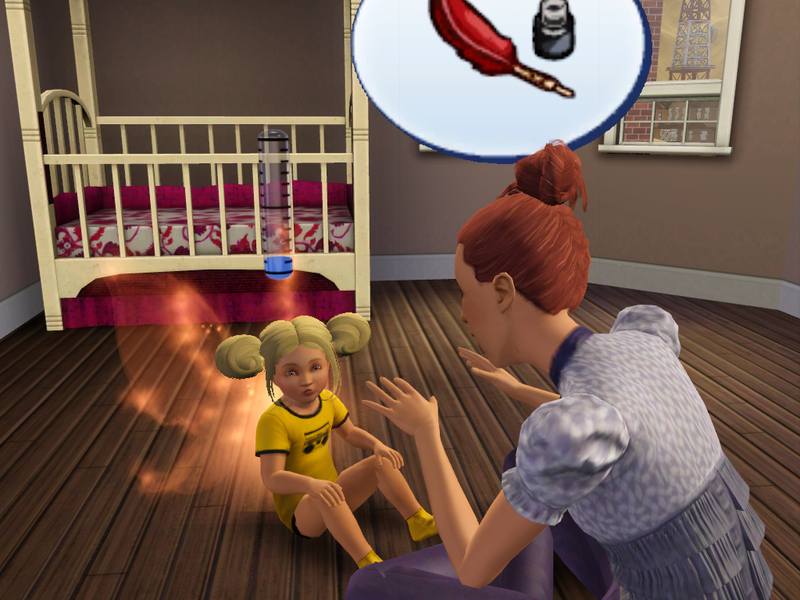 I thought we might do something we haven’t done in a while: toddler training! Cerium: Can you say ‘quill and ink’? Samarium: … when would I ever need to say that at this day and age? Maybe she should try teaching them with SCIENCE! 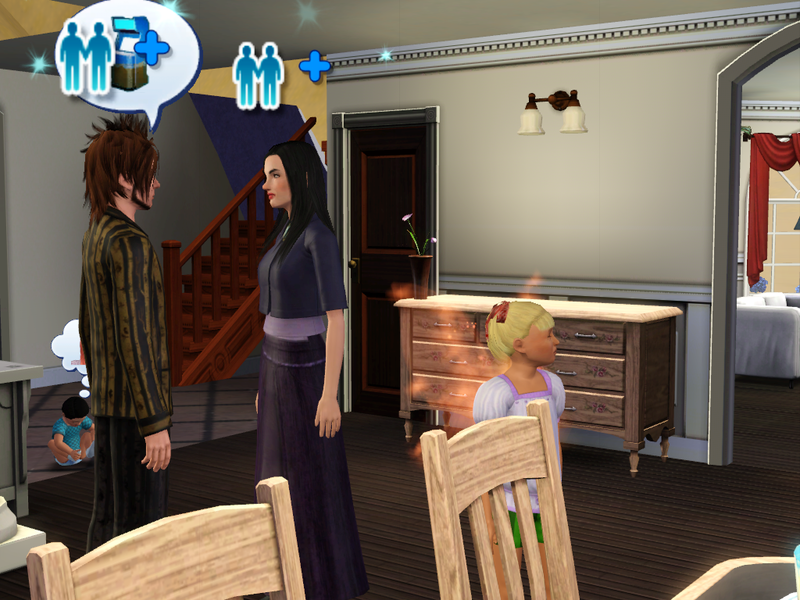 Why are they gazing into each other’s eyes like saps while the child destined to continue my family line sits crying a few feet away? And you were the perfect parent, Ellie? Of course! 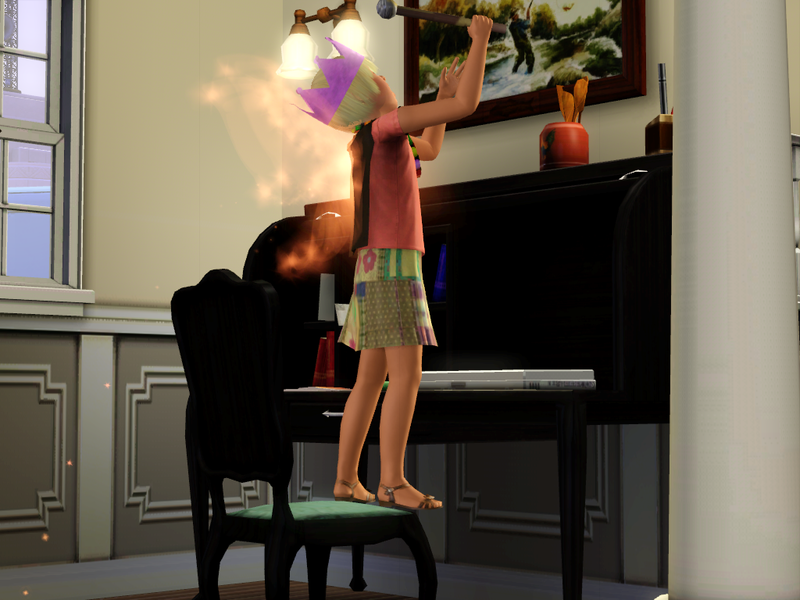 All of my parenting techniques were scientifically sound! 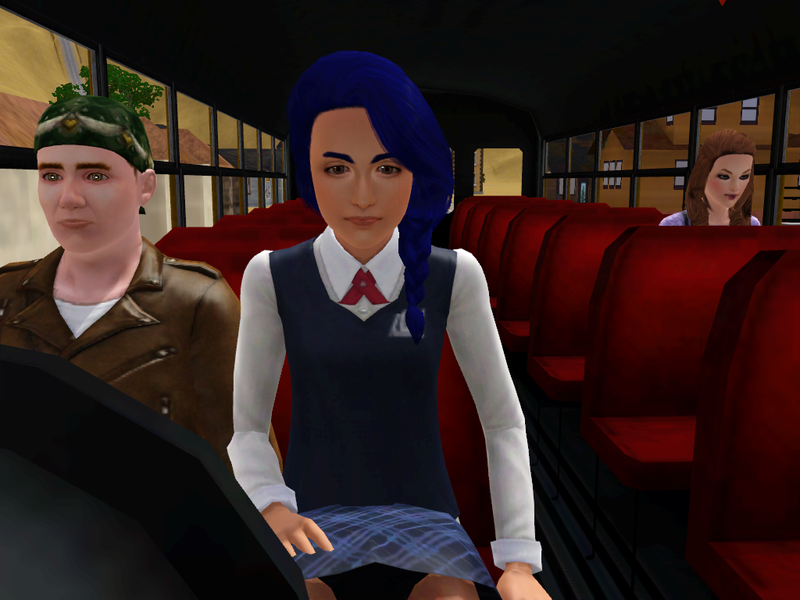 There was some sort of field trip at school, and Andromeda stole the seat on the bus meant for Promethium. Neo: Don’t worry, I’ve got an eye on her. She won’t run away. You two aren’t even possibilities for TH anymore. I TOLD you science would work! 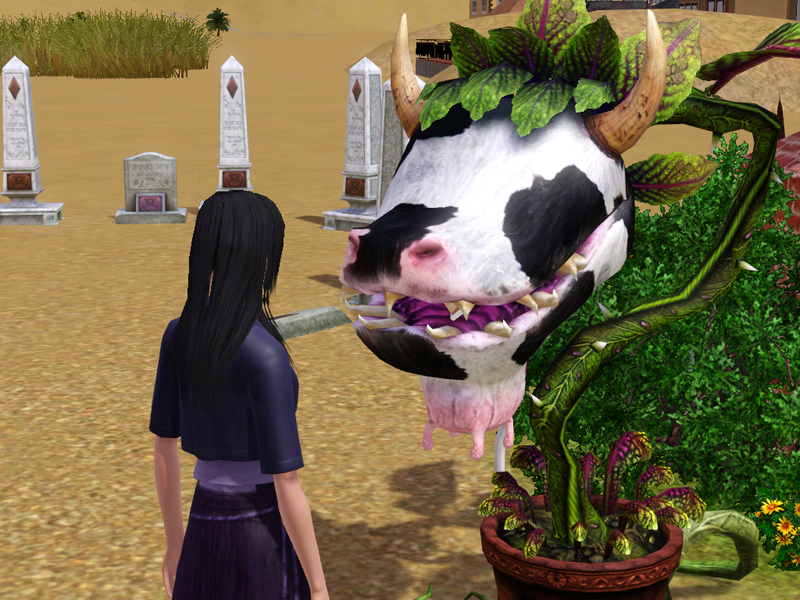 Wren is out with the cowplant. No, Wren! Whoever you’re planning to kill with that thing, it’s not the answer! Wren: … kill? No, I just like talking with him. Mangle really gets me. The guys are… doing this. Arnold: So I thought we could go fishing sometime. Have a guys’ day. Do you want to go fishing? 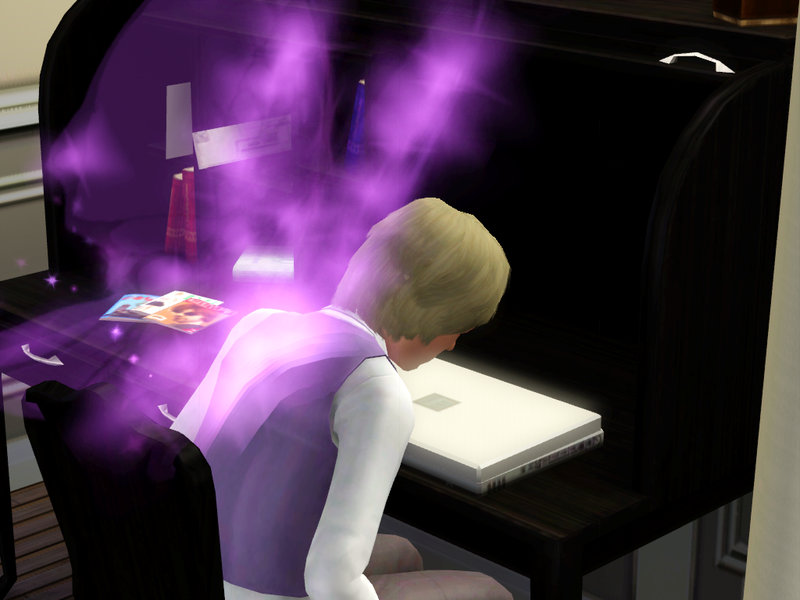 Barium: I’m ignoring you. 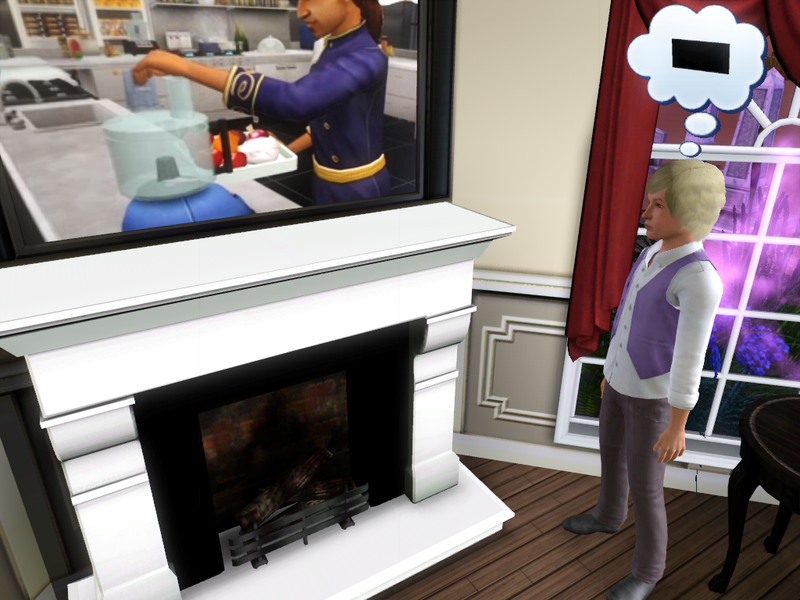 Please stop blocking the television. Neo’s being good and doing her science homework. 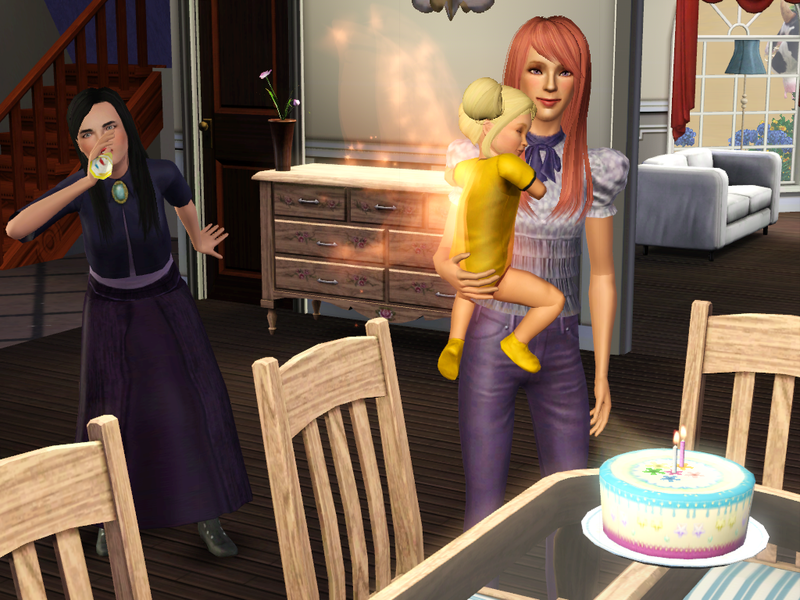 Promethium: I can do a good job taking care of the babies, too! 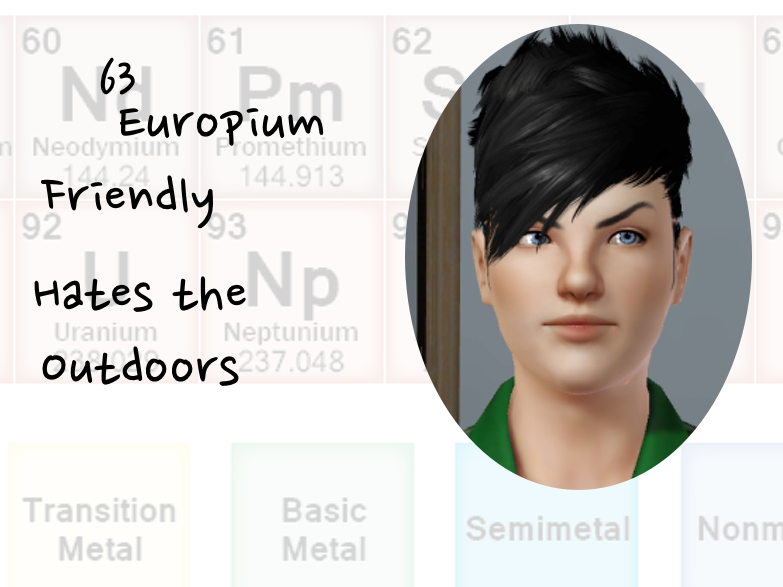 I’ll be great friends with Europium, and then when he’s head of the family he’ll let me be the cool uncle living in the basement. … so does anyone remember how I said that our family specializes in fails that don’t count as official fails in the ISBI rules? Er… Promethium? What are you doing on the computer? Right. 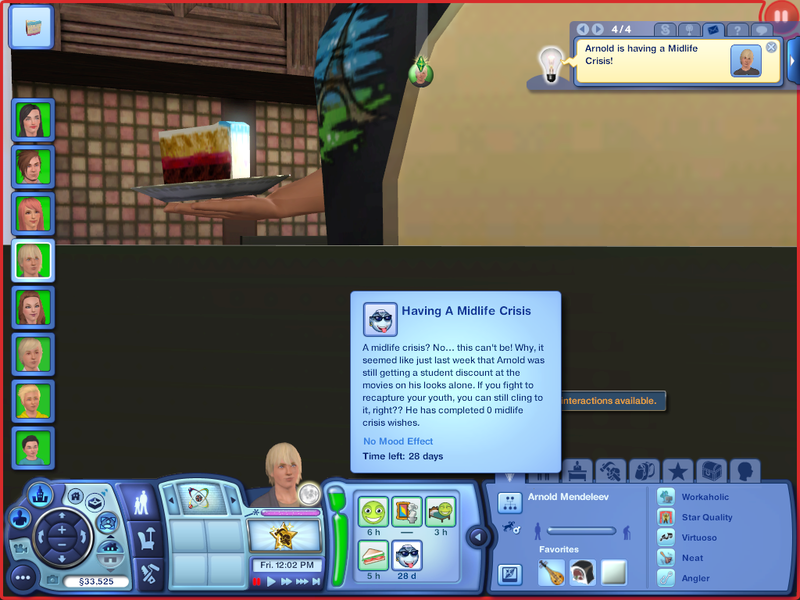 A technophobe that willingly got on the computer. Arnold: What do you think you’re doing, young man? 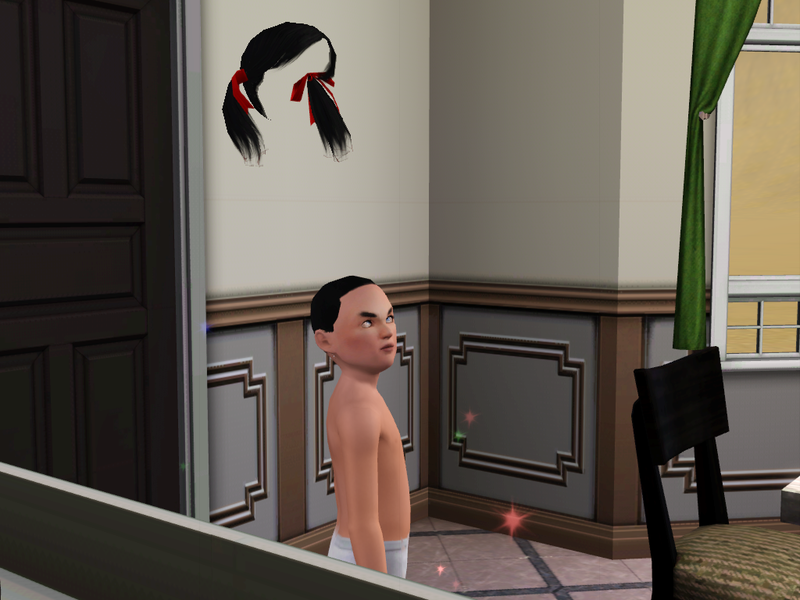 Wha… why is he getting in trouble? Promethium: Er… hey, Uncle Barium. Barium: You do realize I was sitting here the whole time watching you set a booby trap, right? 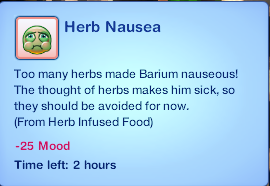 Barium: Go take a time out! Promethium: When can I leave? 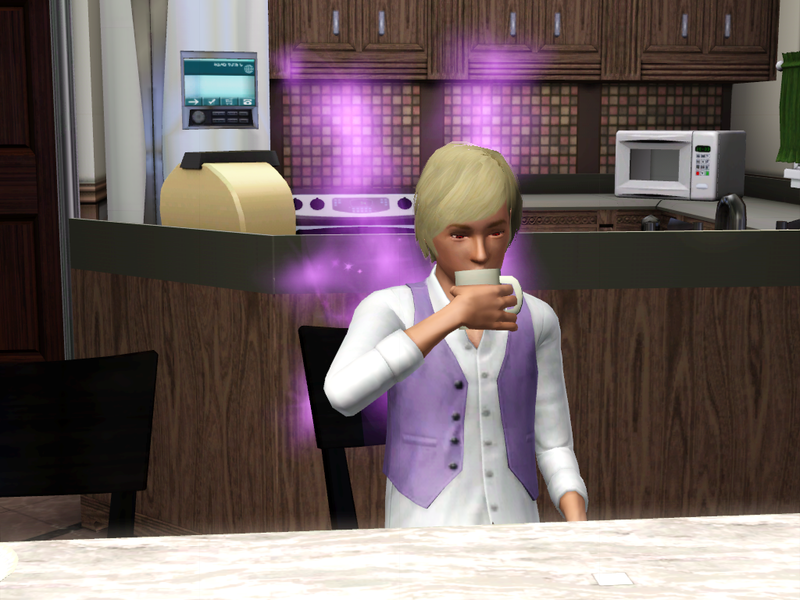 Barium: When my show’s over. 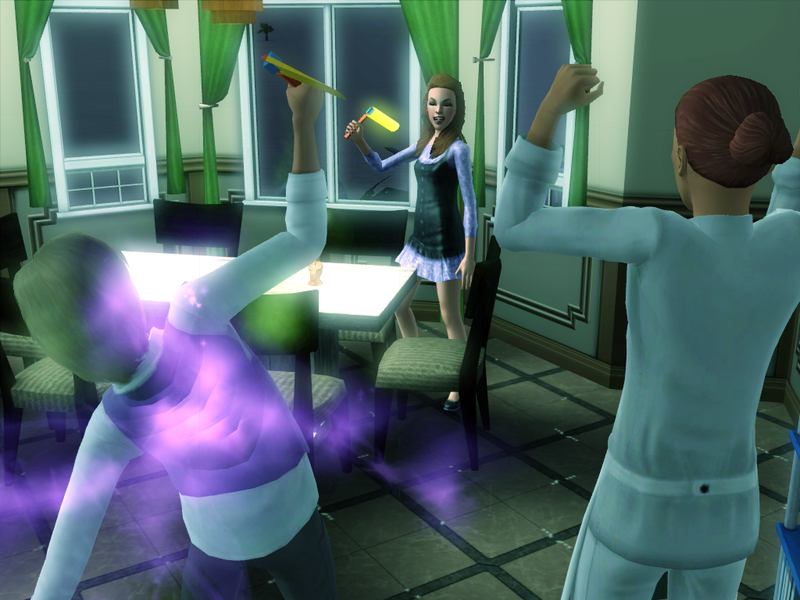 I REFUSE to have such unscientific phenomena featured in my legacy! Remove it. You weren’t going on about the fairies. While Ellie is ranting, I’d like to point out this is a second time-out. 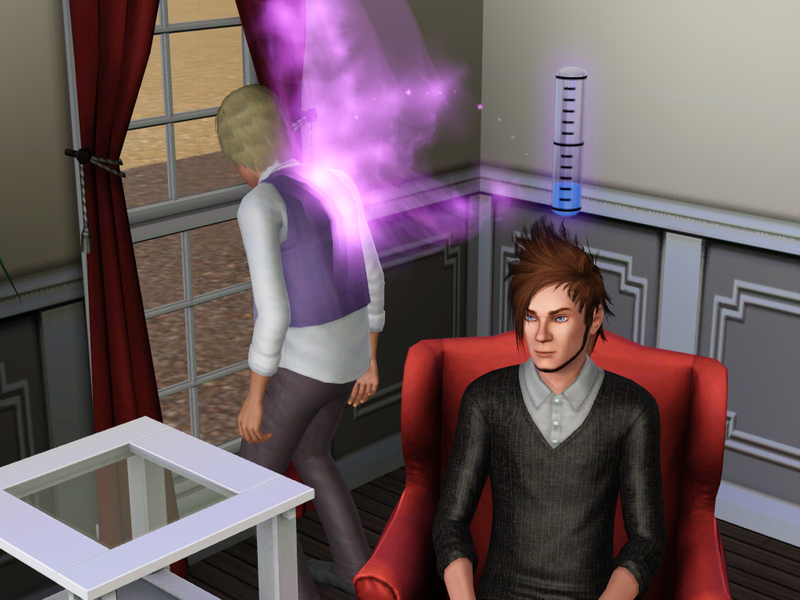 He tried to pull a prank right in front of Barium a second time. 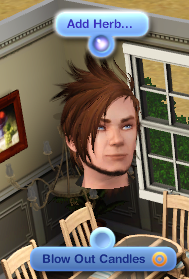 I remembered to fix Cerium’s hair. Cerium: *sob* It’s just… so beautiful. I forgot what it was like to have ears that weren’t cold! 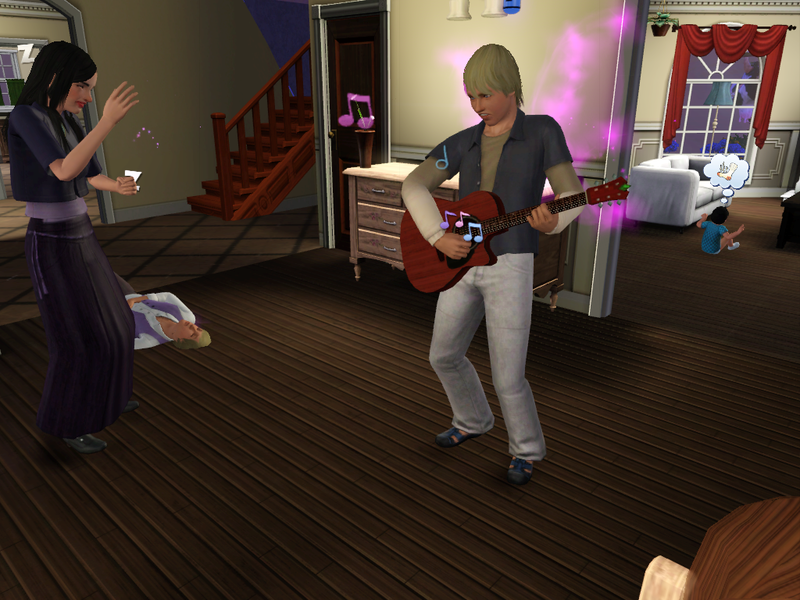 Rocking out in the bedroom. … that sounded worse than I intended. Don’t you get started on the fairies again. Oh, you thought the Fail Saga had ended? 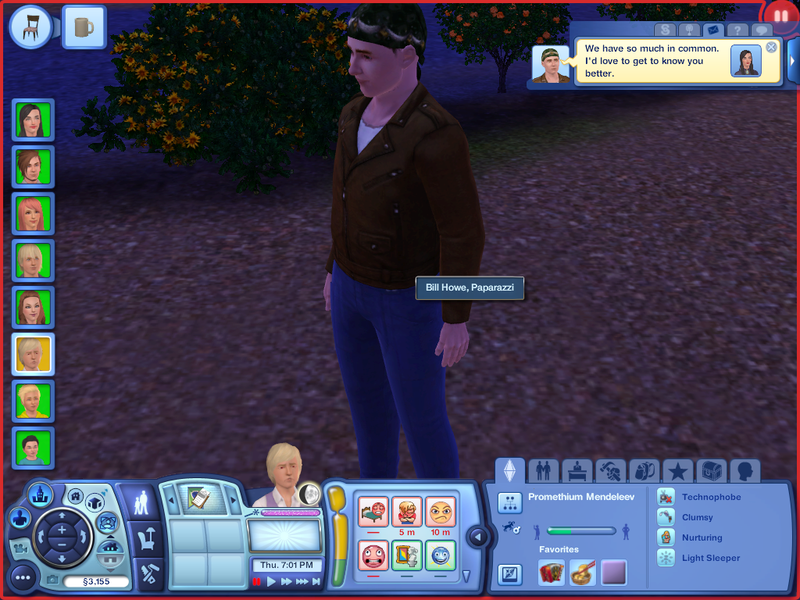 You overestimate my sims. … that’s not even a punishment! Promethium HATES technology! Promethium: Yes! Now I can tell my teacher I couldn’t do the online assignment because I can’t use the computer at home! … is that what this was all about? … are you still on that? Promethium: If you fall off a horse nine times, you should always get on the horse ten times. If chemicals explode in your face nine times, you should stop before you lose your eyebrows permanently. And probably get to a hospital. That is… sound advice, Ellie. WHO IS MY TH RIGHT NOW? 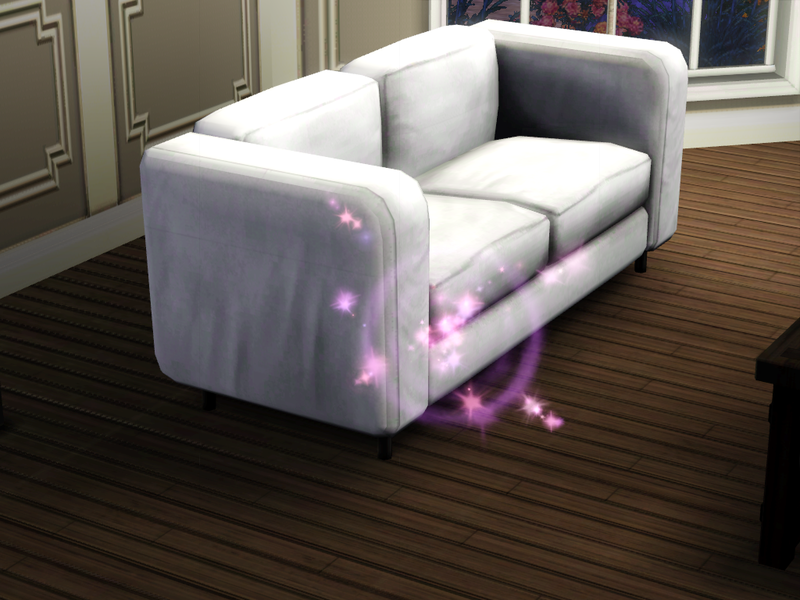 CERIUM, GO SIT ON THE SPARKLY THING. 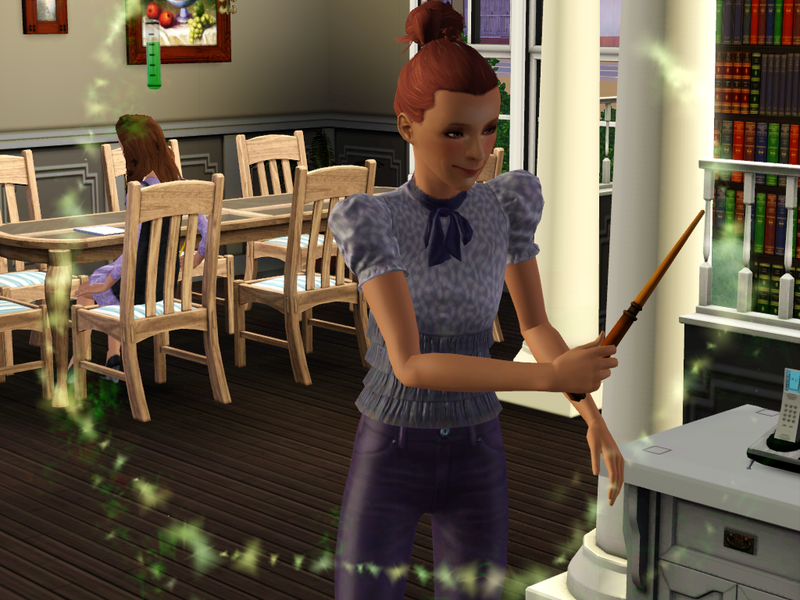 Testing out fairy magic for SCIENCE! Since the ‘bored to death’ pass out doesn’t count for a fail, I’m guessing ‘put to sleep by fairy curse’ doesn’t count either. Wren: I can’t get me a midnight snack. Putting drugs in a small child’s birthday cake for SCIENCE! Note: Don’t actually give children drugs for an experiment unless they’re, like, beneficial drugs and also you’re a professional and also everyone’s consented to being part of the trial. But birthday cake still isn’t the best way to administer those drugs. Is there… smoke coming out of the top now? All the adults came down to celebrate! Not like anyone has a choice. 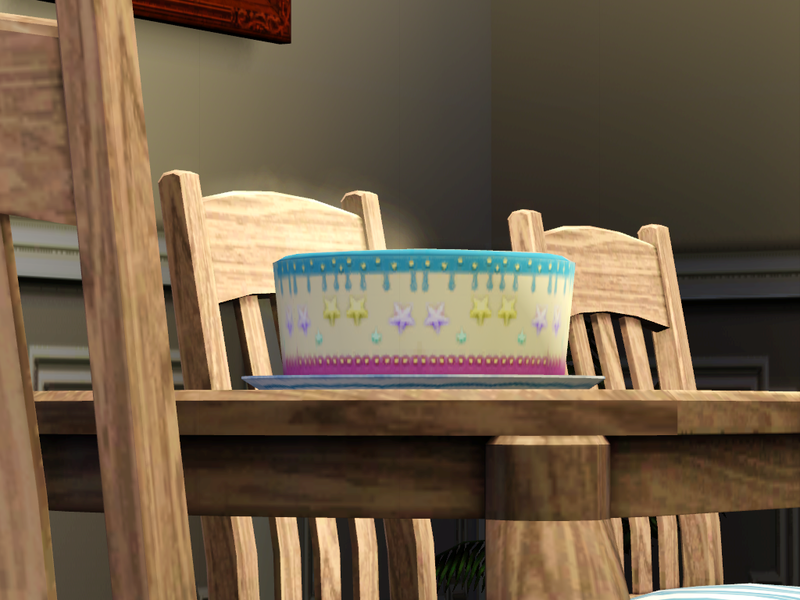 The call of the birthday cake, it is like a siren’s song. 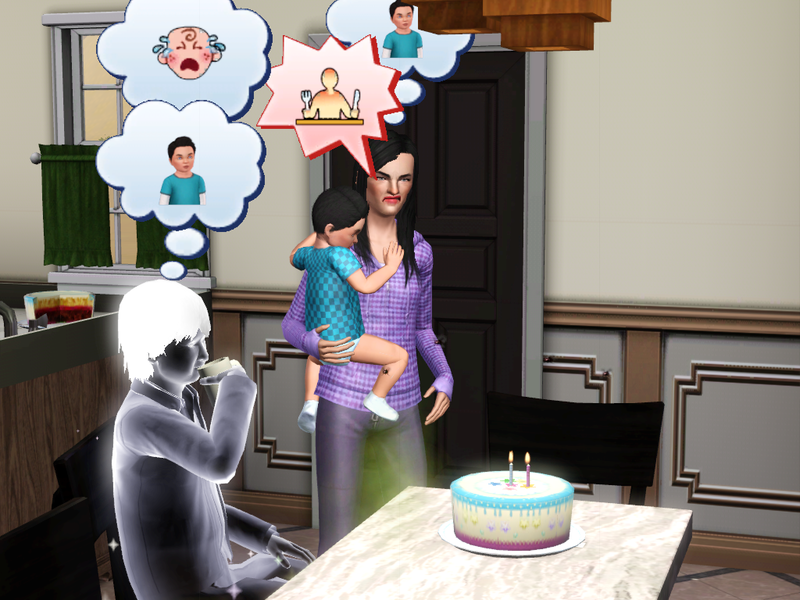 The birthday candles emit sim-attracting pheromones when lit. Very powerful. Would you like to read my thesis? Barium: … so when we get a new house, I was thinking ‘arcade’. Samarium: Hello? Just gained the ability to walk, feed myself, and go up and down stairs? Anyone paying attention? This is what Barium (and presumably the other adults) got from eating tainted cake. I was focused more on getting Samarium situated as a child. You make a very poor scientist, I hope you know. 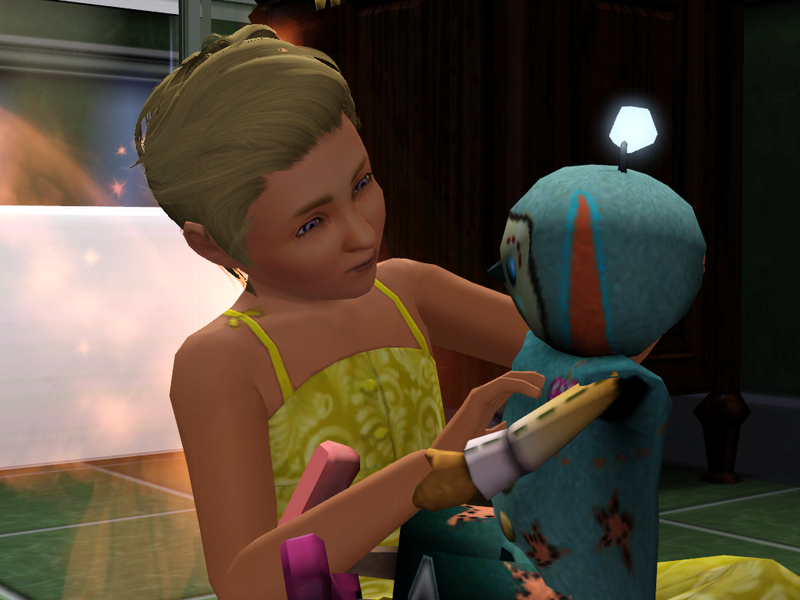 Samarium got no moodlet from the herbs, but I’ve never seen a child play with a doll practically under a table (that I remember) so that counts for something. 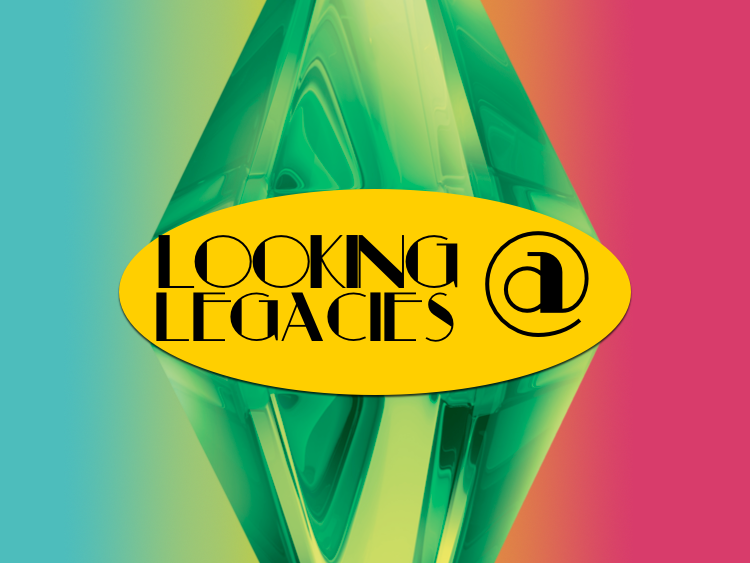 Announcer: Welcome back to Looking at Legacies, the only show where we invite legacy founders to talk about their experiences, their lives, and, of course, their legacies! Here’s your host… Saaaaabrina!! Sabrina: Thank you, nameless announcer voice. We have a very special guest today here at LAL, someone who is near and dear to my heart. Ellie: Why, thank you. You’re too kind. 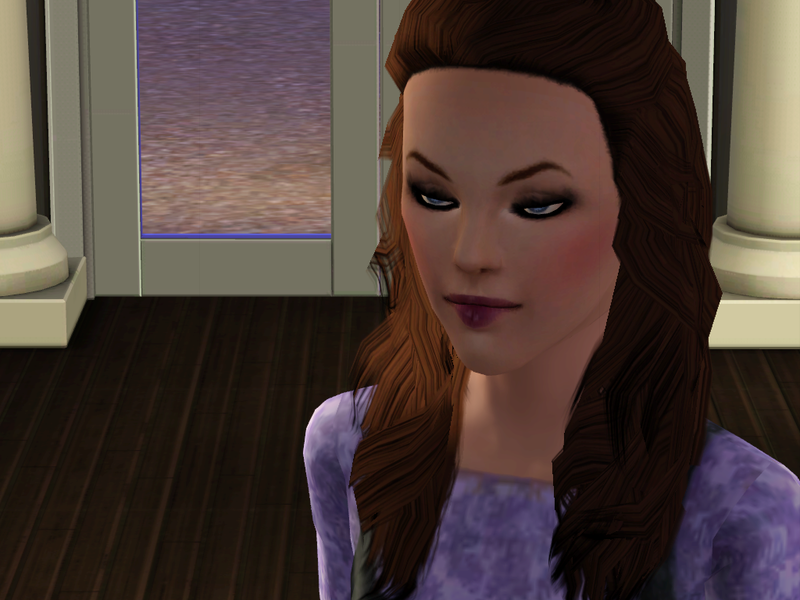 Ellie: I meant that rhetorically. Do you have any questions for me? I have science I could be doing. Sabrina: Well, first of all, what is the significance of gardening? Ellie: … that’s your question? 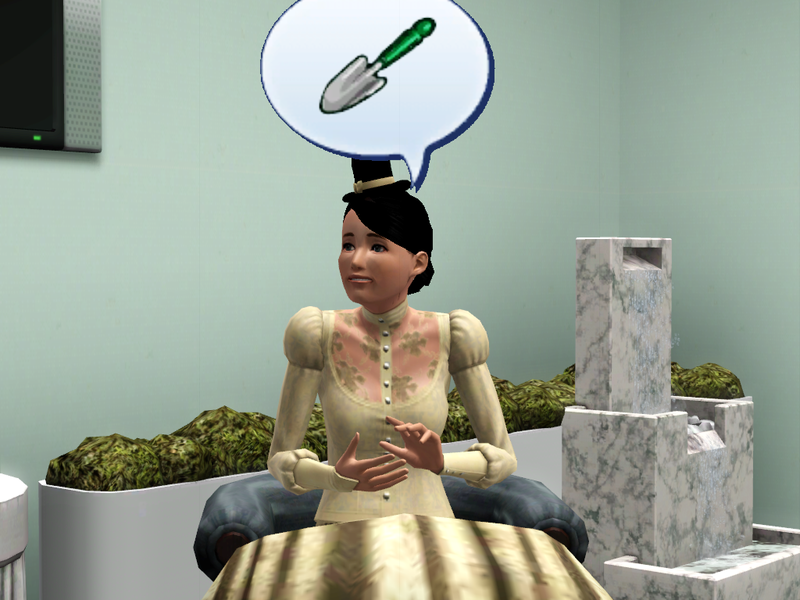 Generations of sims spanning four years–ages in sim-time–and more than sixty descendents, and you want to know about gardening? Sabrina: … I’m servant to the whims of the speech bubbles popping over my head. Sabrina: For any newer viewers, ‘gardening’ was once the go-to euphemism for Mendeleevs about to do the down ‘n’ dirty. 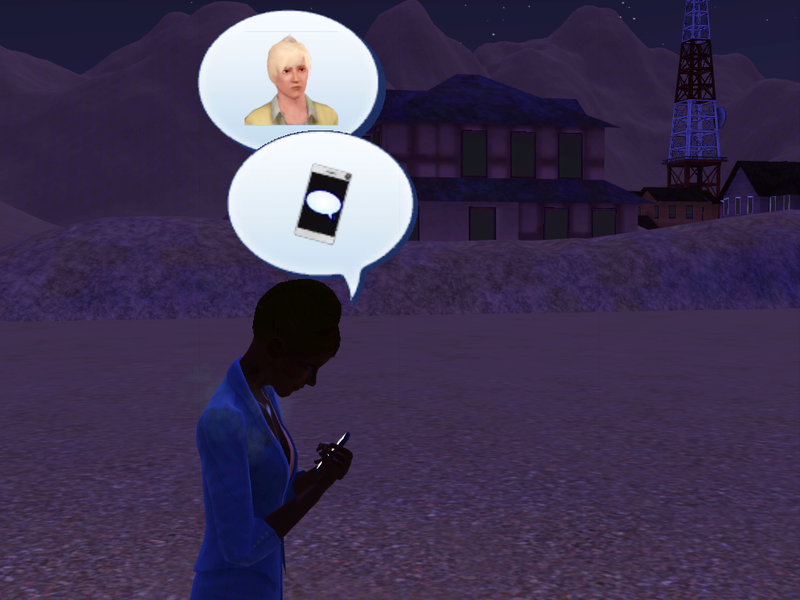 Ellie: Just put my woohoo life out there for anyone to see, why don’t you? Sabrina: It’s been out there for about four years now, Ellie. Ellie: Well, it’s really no big surprise. When you do something a lot and enjoy it, that hobby or interest is going to work its way into your naughty talk at least once, in my experience. And for me it was gardening or science. Gardening just sort of stuck; it’s already very connected to reproduction with seeds and pollen. 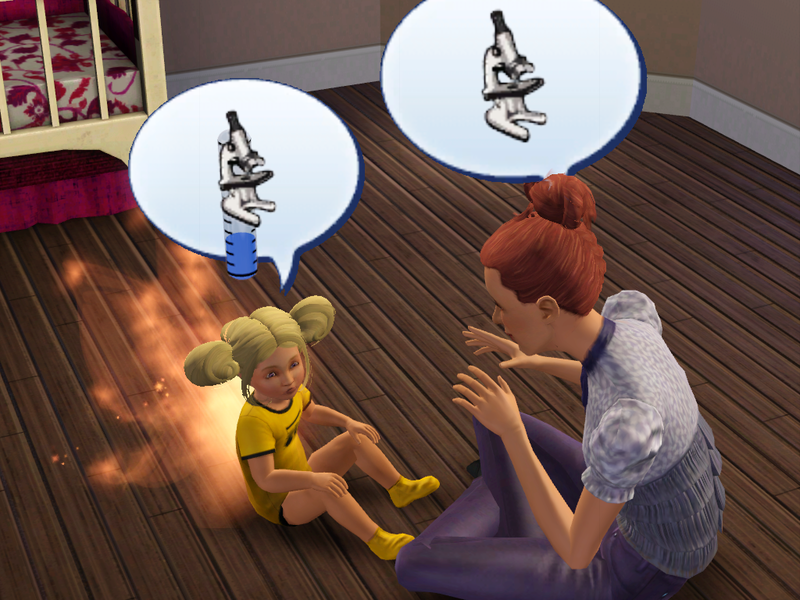 We tried science, but talking about animal testing and bacteria cultures was just sad. Depressing and sad. Sabrina: On to more serious questions, Ellie. Your family has spanned generations and more than half of the periodic table. Did you ever expect it to go this far? And what is in store for your family in the future? Ellie: To be honest, I didn’t think we’d get as far as we have. I thought we might reach a few generations and fade away… but that hasn’t happened, and I’m honored to be part of something so large. As for the future… whatever happens, it’ll be very scientific. I can’t vote on the heir poll, since I’m a bunch of pixels and also technically dead, but I think we’ll be in good hands. 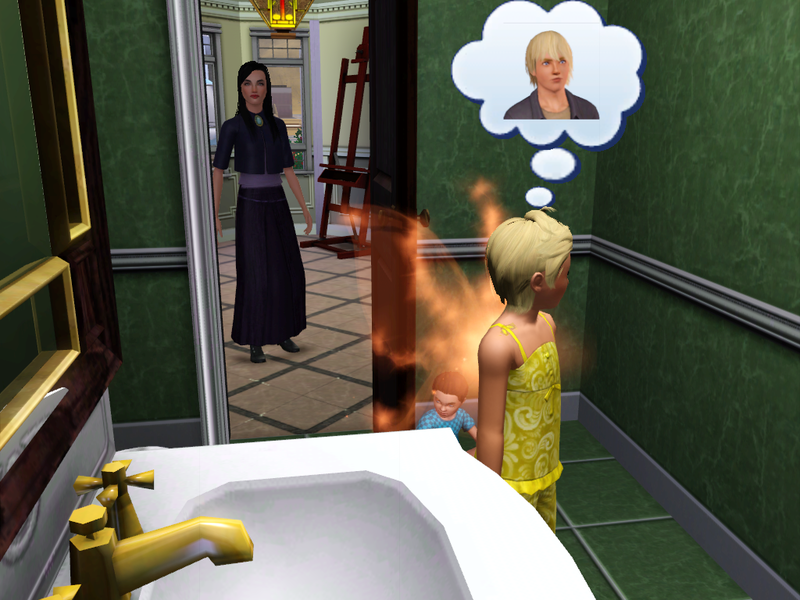 Sabrina: Now, Ellie, I’ve always wondered what the legacy experience was like for the sims. 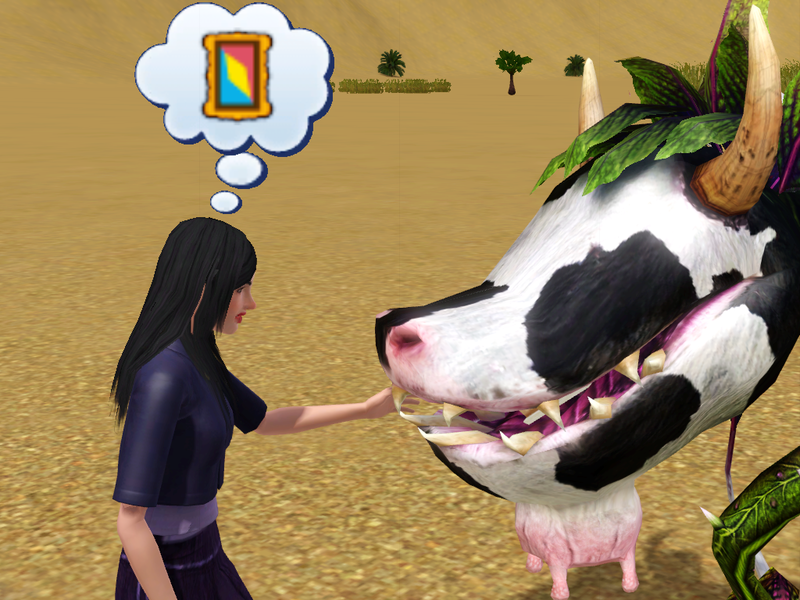 Do you mind sharing your favorite and least favorite things that have happened in this legacy? Ellie: Well, for favorite, the birth of my children and grandchildren and so on, of course, although that’s the obvious answer. 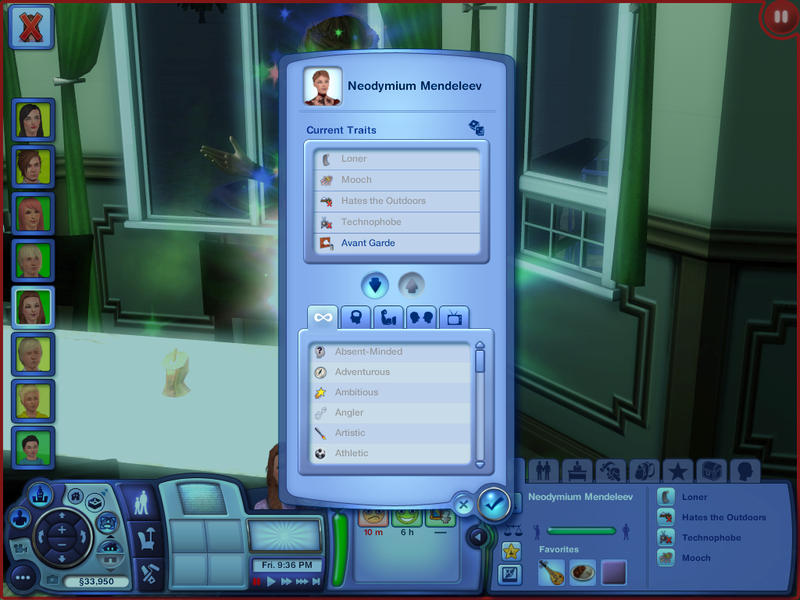 I’d have to say having Death come into the family was a very positive step for the Mendeleev legacy. The afterlife has become so much more pleasant. 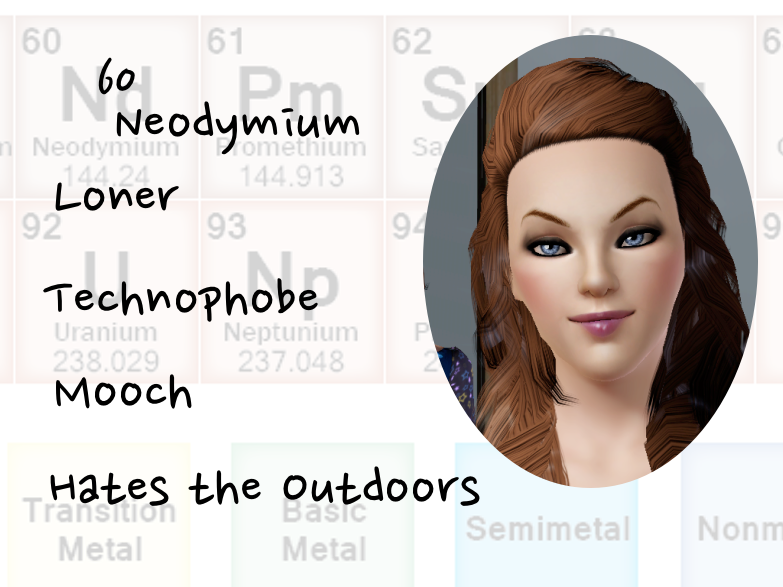 Sabrina: One of our earlier heiresses, Nitrogen, had two children by Death: Sodium and Magnesium. After this, Death began taking a personal interest in the well-being of the Mendeleev family, and usually makes sure to say ‘hi’ before going back to the Netherworld. Ellie: As for worst, that would be Zhan’s betrayal, or dying before being able to meet my great-grandchild. Sabrina: What do you think about the houses that we’ve had since your death? Do you think that the house we’re currently in should be replaced by a custom build? 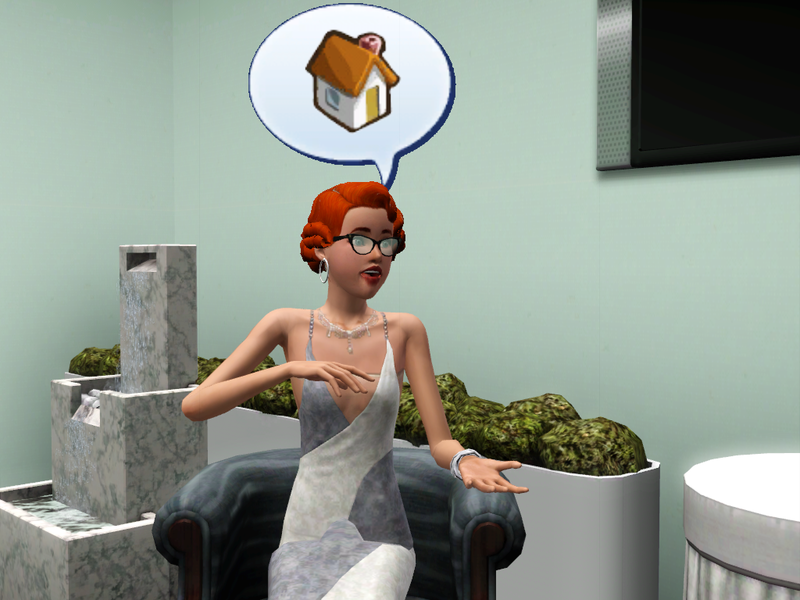 Ellie: Our family has had some great-looking houses, and then some horrible ones that were built for convenience. 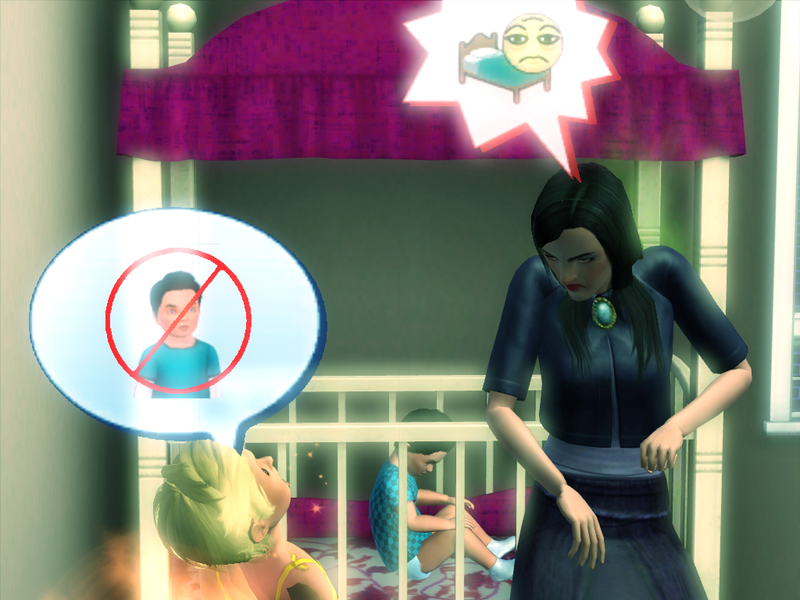 I think the best, in my opinion, was the house we had under Sodium’s reign as heiress, before Pets crashed everything. I think you liked that one too, right? Sabrina: You are correct. The beach one was also a cool build. Ellie: I’m glad we finally got that periodic table house, though. And I think we ought to keep the tradition of having houses custom-tailored to our legacy needs, even though the house you have the family in now is pretty nice. Sabrina: Well, Ellie, I think that’s about the time we have for today. It was an honor to have you on the show. Ellie: It was great to be here. 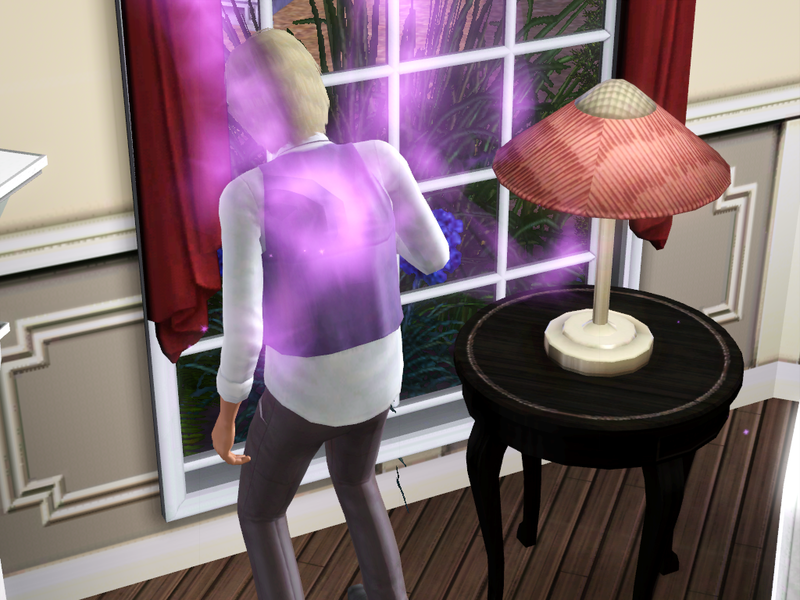 Ellie: Hold on, there’s a hot llama man outside. Sabrina: Never mind. I have one more quick question. Sabrina: Anything you want to say to the folks at home, Ellie? Boy, am I not jealous of you guys this generation. All of these kids are gorgeous! But this heir poll isn’t about showing off the kids, it’s about showing off my skills attempts at working a new art program thing. Nah, it’s totally about the kids. So pick your favorite! Tell your family, tell your friends… tell your friends’ family and your family’s friends… seriously, though I don’t think I ever would have thought I would actually succeed to getting to element number 60 (what-what!) and beyond when I started this… four years ago almost exactly! 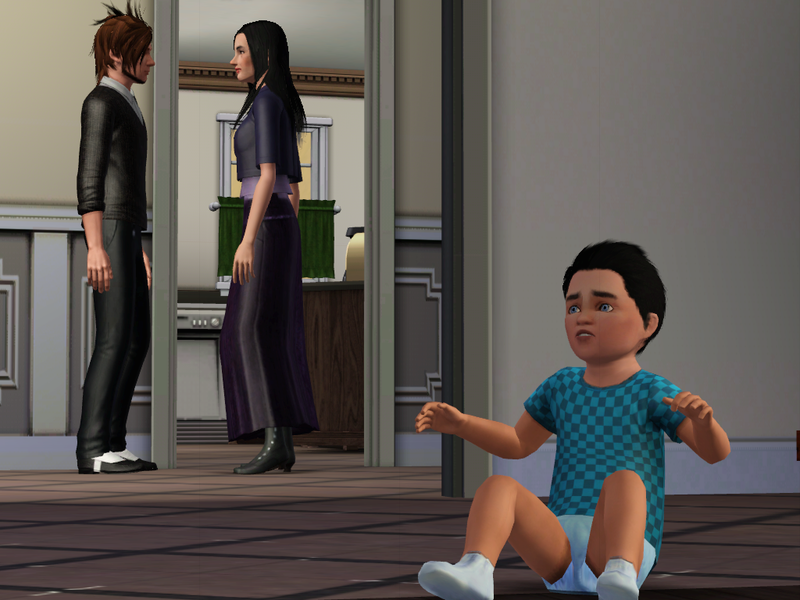 I’d like to take this time (if you’re still reading this) to thank everyone who has been reading my ramblings about the sim family with the most predictable name scheme ever. It’s great and I love hearing when I make someone laugh or seeing that someone liked what I wrote enough to click the little follow button. It’s been a great ride and, as I just noticed just now… we’re closer to the finish line than we are to the starting point now.